History of Kanvashram is extremely old ,and entwined with the history of this nation and of human spiritual development on this planet. Archeologist, zoologists and anthropologist based on their extensive study worldwide over the years have as on now concluded , that evolution of humans may possibly have taken place in the African continent but none can deny that there after the cultural, spiritual and intellectual development of humans took place in this subcontinent which is known as BHARAT VARSH or INDIA or HINDUSTAN to all. "The region stretching from Kanvashram to Nandgiri mountain is a very pious place and a center for meditation, yog, and enlightenment. In this place is located the world famous ashram of the dynamic and vibrant sage Kanva. Paying your tributes in this place gives one peace and tranquility." Besides in the biggest ancient epic of the world with one lakh couplets “The Mahabharat” reference is made at a number of places about the presence of Kanvashram on the bank of river Malini. Reference is also made about Kanvashram by Magesthenese, Greek ambassador to the court of Emperor Chandra Gupt Maurya in his book “INDIKA”. 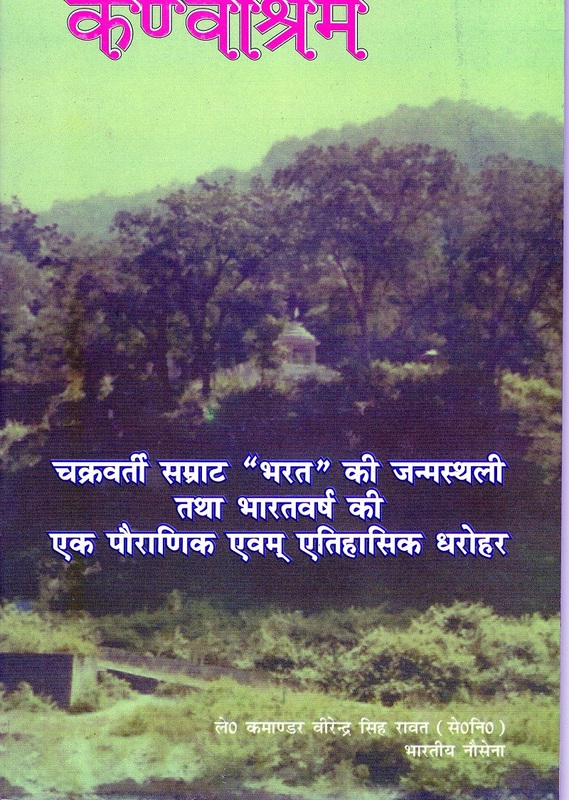 Though the book is no more in existence, those who had read it have mentioned about Kanvashram in INDIKA. Sir Cunninghun, Chief Archeologist of India, during the British occupation of this nation, in one of his report of 1865 has corroborated that the river referred to by Magasthanese in his book INDIKA is indeed Malini, which flows in Garhwal and on whose banks Shakuntala grew up. Setting aside all the historical facts ,the person who actually brought Kanvashram out from the unknown depth of time into prominence through his last magnificent book “Abhigyan Shakuntalam” was none other than the renouned poet KALIDAS. 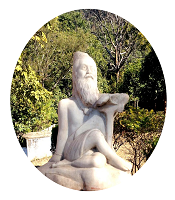 Though the ferocity of time,plundering and destruction by innumerable foreign invaders had eradicated the very physical existence of Kanvashram,thousands of years later poet Kalidas rejuvenated it from ashes by the strength and brilliance of his writing. 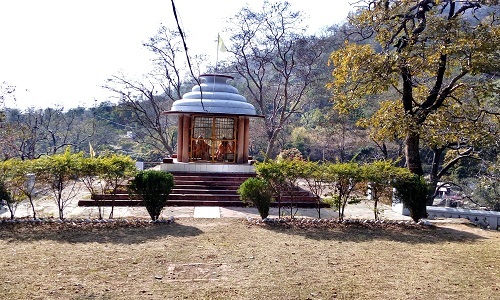 Kalidas was fully aware of the topography of this place located in Uttarakhand.His lively and picturesque description in “Abhigyan Shakuntalam” of Kanvashram situated on the banks of Malini, has brought back to life all the events and characters associated with it and has made them immortal. The destruction & annihilation of the ancient cultural heritage of this great nation "Bharat" and "Kanvashram" commenced simultaneously. After innumerable futile intrusions, the foreign invaders finally penetrated its boundaries and gained entry into this nation in 12 century. Having lost the first battle of Tarain in 1191 Mohammed Gauri once again returned to challenge the might of the powerful King of Rajputana, Prithavi Raj Chauhan and stood facing him in 1192 in the same battle field of Tarain near Thanesar with a force comprising of thugs and thieves. Unfortunately Prithavi Raj Chauhan lost this decisive battle and the invaders gained their first foot hold in this country. After establishing their authority in Delhi the Muslim invaders systematically looted and plundered all the religious and culturally important sites of this nation. 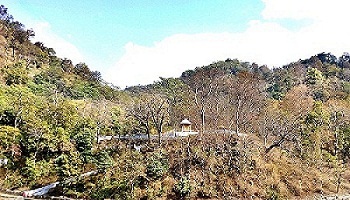 Haridwar & its adjacent areas which included Kanvashram were looted and raised to ground. Further in 1227 the forces of Iltumush attacked Bijnore, Mandavar and also plundered Kanvashram. Destruction of Kanvashram which started with the advent of the Muslim invaders in 12th century finally concluded with totally erasing the very existence of the world famous educational centre from the face of the Earth. Nothing remained in the region except the jungles,which gradually became denser by the day and the softly flowing river Malini. It was only in the 18th century that the British came to this region with an intention to hunt, seeing the abundant availability of wild life. Jim Corbett also came as a hunter to this region but dedicated his life in protecting the people of Garhwal & Kumoan region from the ferocious man eaters. The British came to hunt animals but the thugs and dacoits residing in these dense jungles hunted and looted humans. The area became a domain of dacoit . It was only after their eradication that people begin to settle in this region and Kanvashram once again emerged on the map of this mighty nation Bharat.